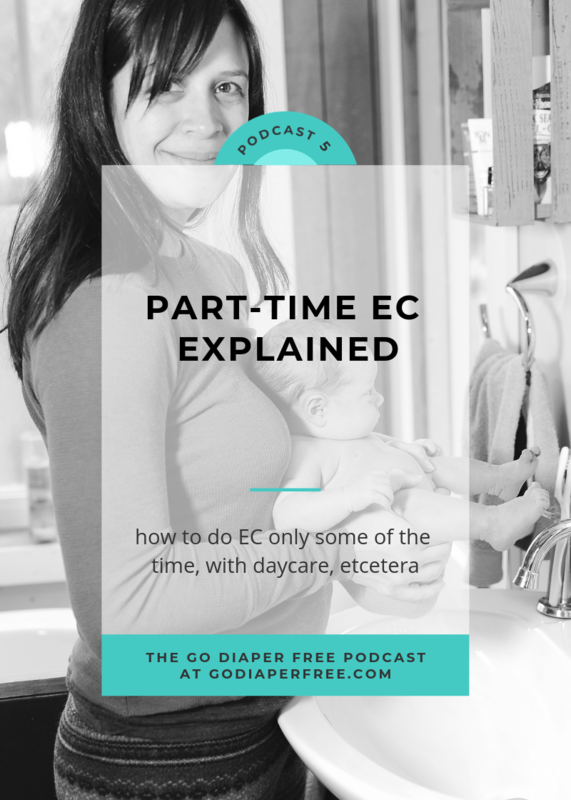 In this sesh of The Go Diaper Free Podcast, we're going to cover Part-time EC - whether you work outside of the home or are choosing to do EC just part of the time, I'll give you an overview of what doing EC and having a life can look like. So many folks put off trying or starting EC because they believe you have to be with your child 24/7 to do infant potty training; that you have to do EC 100% full time or not at all. But me simply stating it isn't true isn't quite enough either, now is it? So, in this episode of the podcast we're going to explore part-time EC, what it can look like, and how some folks choose to do it. Some keys to the castle, if you will. If you work outside of your home or you just want to do EC with more balance (ie: not all the freaking time), this is your show. Give 'er a listen! 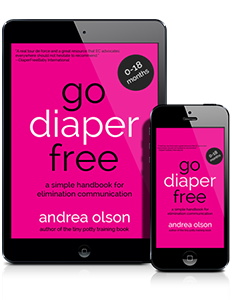 The Go Diaper Free private members' area (comes with my book) - prime support, ya'll. Thank you again for tuning in...best wishes with your beautiful baby. Loved this podcast–provided me with some re-inspiration/motivation and let me know that even though we have not been “perfect” with our EC’ing, we are doing what we can to get our son diaper free. Thanks for this article, for this site, and for your service–keep up the awesome work you are doing for us!